A Tasty Mess: A Perfect Pancake-Flavored Bite! What could be better than marrying the flavor and texture of a fluffy buttermilk pancake with the adorable portability of a muffin? This recipe is amazing. 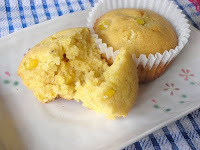 It is one of those rare ones that made me annoyed because I hadn't made it sooner and the muffins were so delicious! The one caveat is that you can't eat them cold. I mean, you CAN - my husband does, however he claims he likes the taste and texture of cold pancakes. For the majority of the population, I recommend you warm the muffin and top it with warmed syrup. 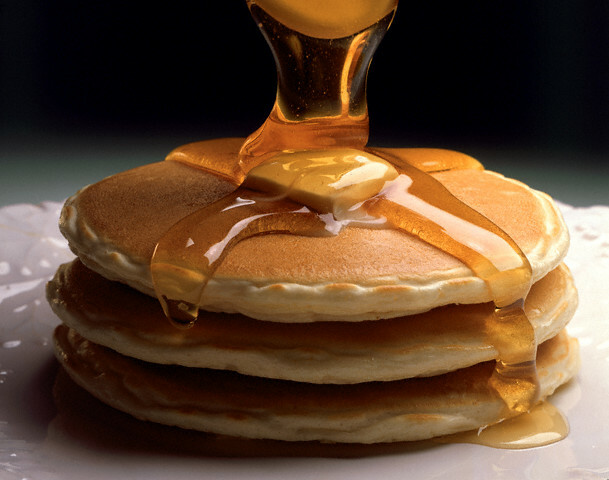 Either use regular maple syrup or use the strawberry syrup included in the recipe. 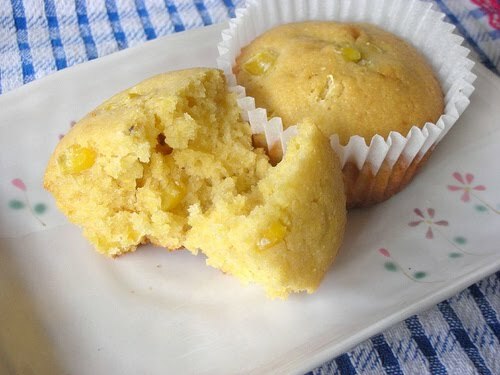 The key to these muffins being light and fluffy is the inclusion of whipped egg whites in the batter. Be careful folding in the whites, don't break them as you stir! 1. Position a rack in the center of your oven and pre-heat it to 400 degrees. Spray two 12-cup muffin pans with cooking spray to keep the muffins from sticking. In a medium bowl, sift together the flour, cake flour, baking soda, baking powder and salt, then set the mixture aside. 2. Beat the egg whites and cream of tartar on medium-high speed until they form stiff (but not dry!) peaks. Set aside and beat the egg yolks on medium-high speed until they are thick, ribbony and lemon-yellow (about 6 minutes). 3. Add the melted butter, sugar and vanilla - mixing to combine (about 30 seconds). Add 1/3 of the dry mixture to the yolk mixture, then add 1/3 of the buttermilk. Alternate the mixtures back and forth, ending with the buttermilk and mixing until the batter just comes together. 4. With a large rubber spatula, gently fold the whipped egg whites into the batter (leave some streaks) without breaking the whites. 5. Scoop about 1/2 cup batter into each muffin cup. You can fill the cups to the top rims. Bake the muffins for 10 minutes, rotate the pans, then bake for 10-12 more minutes until the tops just begin to brown and are nice and puffed. 6. While the muffins are baking, you can make the strawberry syrup by bringing the maple syrup to a boil on the stove, then pouring it over the chopped strawberries - stirring well to saturate. Serve up the muffins topped with the syrup and enjoy! And I can tell you how to make buttermilk out of regular milk, it is super-simple and just requires milk, vinegar (or lemon juice) and a little time.